standard for exposure to microwaves during mobile phone use is not safe for long-term brain tumor risk and needs to be revised. significantly below most current national and international limits. It therefore behests our scientific societies to address this issue. There is one caveat; that is, only one group, Hardell et al, have carried out actual studies pertaining to the issue and found a clear relationship between brain tumors and ELF. No other long-term studies have been carried out; Dr Khurana’s warning is based on a review of literature only. It seems that a cooperative effort by both the scientific community and state governing bodies will be needed. Some spearhead is now necessary in view of the magnitude and seriousness of the situation. In the United Kingdom alone around 16 million people regularly use mobiles. The Government-backed National Radiological Protection Board maintains mobile phone radiation levels are well within safety limits. But other studies have already shown links between the phones and long-term memory loss, high blood pressure and premature ageing. The phones have also been linked to cancer, leukaemia, multiple sclerosis and Alzeimers disease. The Government is set to announce further funds for research into possible health affects of mobiles early next year. Omega-News: Cell phone base stations change brain currents and cause unwellness!!! UNWELLNESS! is an understatement. Cell phone base stations change brain waves? Huh, what, did you say? We want our wireless phones, computers and other handy gadgets but at what cost will this be in the future? Let’s read some of the results of this study of brainwaves in Austria. Brainwaves, measured by EEG, changed significantly. Afterwards the subjects were asked to describe their experiences. All of them felt unwell during the second phase. They reported symptoms like buzzing in the head, palpitations of the heart, unwellness, lightheadedness, anxiety, breathlessness, respiratory problems, nervousness, agitation, headache, tinnitus, heat sensation and depression. According to the scientists, this is the first worldwide proof of significant changes of the electrical currents in the brain by a cell phone base station at a distance of 80 metres. It has been scientifically established before that the radiation of cell phone base stations leads to unwellness and health complaints. Get one of those cell towers in my back yard! I THINK NOT! I think I have heard it all now. If you read my recent article Cell Phone Towers Are Cash Cows and Big Business. This article is for you. 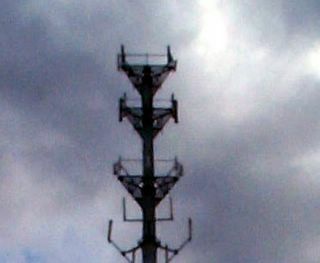 Cell Tower Lease Consulting and Due Diligence if they haven’t thought of everything. Researching the internet is an eye opening experience you can find a little of everything. If you have a cell tower lease or don’t have one yet and want to due your due diligence these are the guys for you or so the say. What I would say is if you have a cell tower that you have purchased or one in your area have these guys help you renegotiate your way out of your lease. Are there more reasons than we know about why cell towers are being placed around the world? Cell Phone Towers are appearing across the globe in droves and droves. Are these towers safe? Have they been tested for safety? Why can you hold a flourescent light tube up to them without them being connected to anything and have the tube light up? Leukemia, cancer, neurological diseases these are all concerns of the past 25 years over power lines. Court cases have been fought over the topic of telephone power lines strung throughout the atmosphere. Neighborhoods have banded togethor to prevent the placing of these power lines and towers. What does the future hold for us when the world becomes wirless and these new, non-tested towers appear across the globe? Are we going to need to protect ourselves? Are we going to be able to? This article below shows pictures of various cell phone towers and ways they are being used as weapons and how to protect yourself from them.